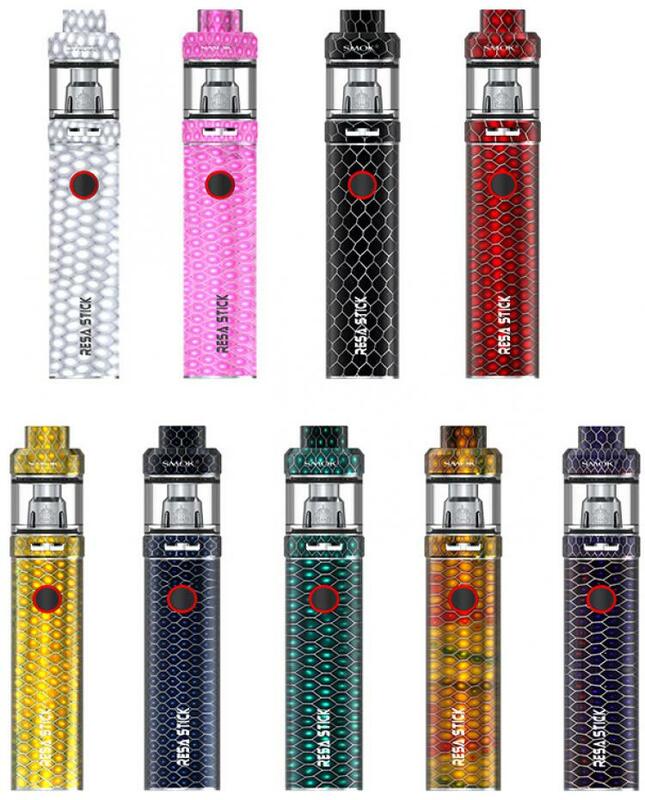 Newest smok vape pen resa stick, which features fashionable cobra resin, nine fashionable colors available, include resa stick battery and resa prince tank. 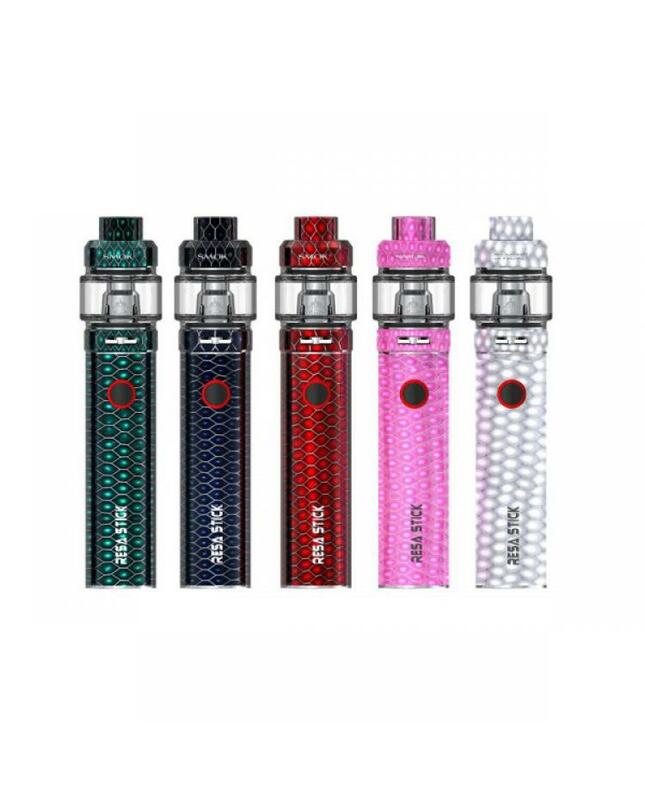 the new smoktech vape pen with unique cobra resin design,resa stick battery built-in large 2000mah capacity battery and can charge it via micro USB port, the LED indicator will let you know the battery condition,LED light will flash 4 times each time you take a puff, flash 15 times when the working voltage lower than 3.3v. resa stick battery provides multiple protections to avoid potential risks. 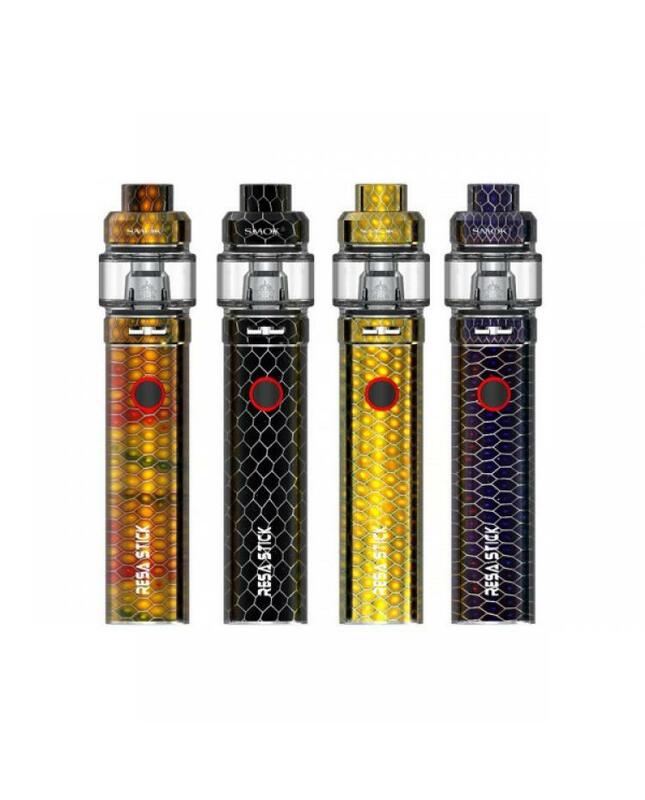 the resa prince tank can hold 7.5ml e juice, adopts newly designed cobra resin drip tip which will bring you increased airflow and provide you with powerful draw effects. top refill and bottom airflow adjustable design, the packing comes with v8 baby-mesh 0.15ohm coil and 0.25ohm v8 baby m2 coil heads, will produce a large cloud of vapor and dense flavor.